I mostly work from home. I have windows. I look out of them quite often in the course of a day. This is what happens past. Small flowers on a hair ribbon are all the rage at the moment. The street we live on is relatively busy. 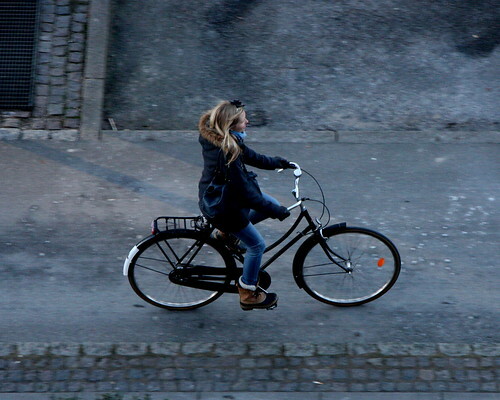 It features about 10,000 cyclists a day, which is medium-sized in Copenhagen terms. 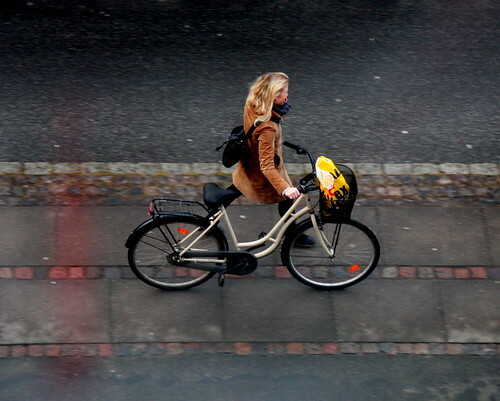 People ride past in both directions, on separated bike lanes, of course, but often they stroll. Be sure to check out Marc's View From Here on Amsterdamize.com. great pics. always enjoy your pics. i look forward to them everyday! have a great weekend! I love this. I'd happened to see Marc's first this time, yes the captions work with both sets of photos. 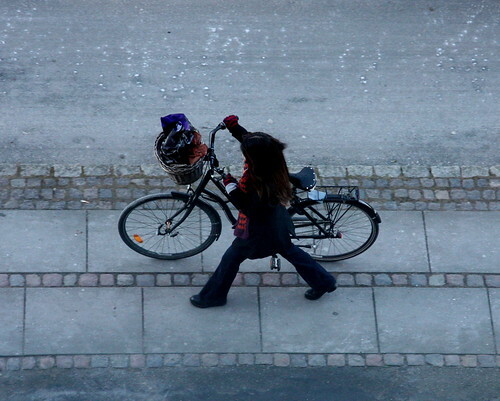 There are some cyclists outside my home office even now, but at -25c, no visible hair ribbons. Tuques, scarves, big gloves. I don't ride in this severe weather (I am over 50 years old, and I can get most things I need on a short walk) but did get my bicycle out for a lovely mild day just before this horrific, Canadian Prairie cold snap.